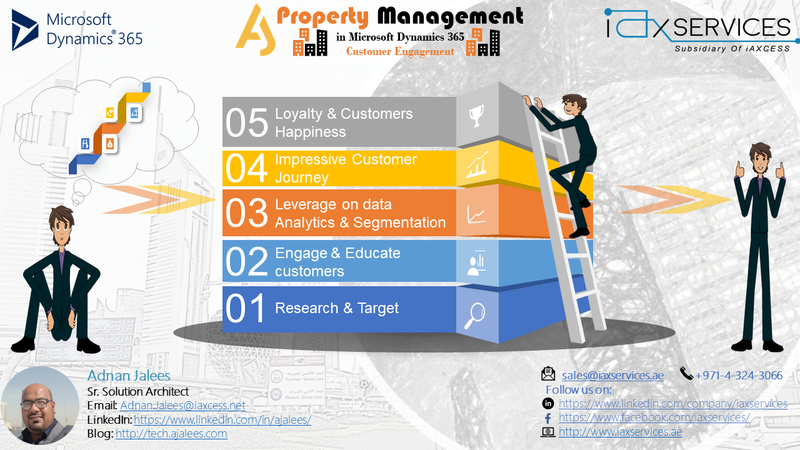 Invest on Customer Engagement Program and expect maximum return. If you like to learn more about Microsoft Dynamics 365 Customer Engagement and looking for the solution which will be 100% adaptable within your business needs, please feel free to drop message to us at sales@iaxservices.ae or Call Us on +971 4 324 3066 (Sunday to Thursday - 9:00am to 6:00pm (UTC +4) for the inquiry. Our Experienced Sales team will be pleased to assist you. Scalability Thoughts with Dynamics 365 Customer Engagement!!! 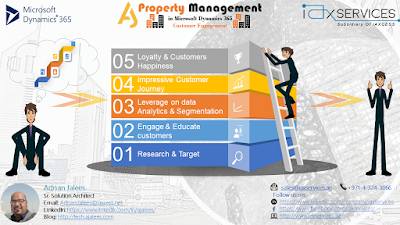 Property/Real Estate Managers can take leverage of our scalable solution to improve their customer engagement and convert customer on-board journey experience into upscale business of Sales & Lease property/real estate business. 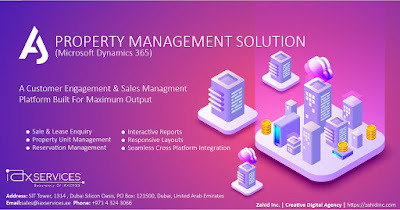 If you looking to know more about the solution, please feel free to drop message to us at sales@iaxservices.ae or Call Us on +971 4 324 3066 (Sunday to Thursday - 9:00am to 6:00pm (UTC +4) for the inquiry and avail special offer. Our Experienced Sales team will be pleased to assist you.